You are currently browsing the MSBLOG weblog archives for July, 2008. 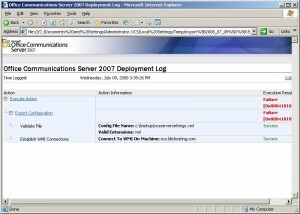 I was exporting the settings for Microsoft Office Communications Server today, using the command line tool LCSCMD.exe. 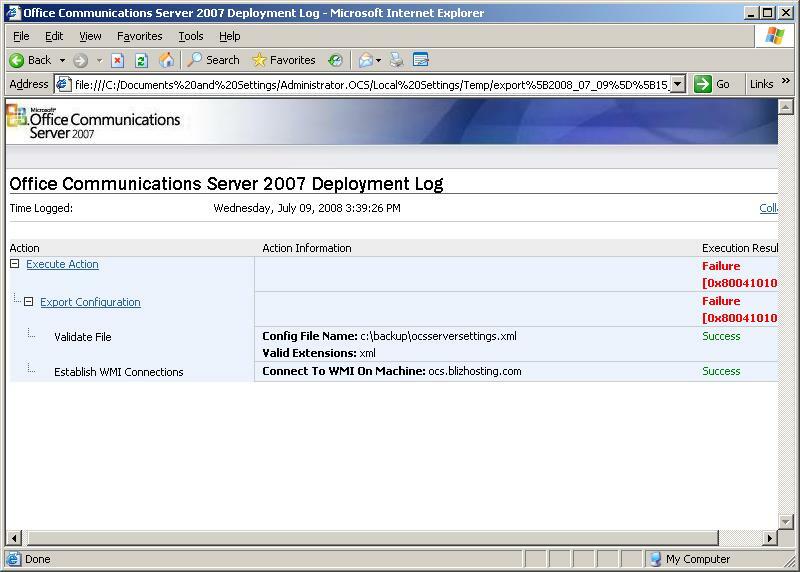 Check the log file “C:\DOCUME~1\ADMINI~1.OCS\LOCALS~1\Temp\export[2008_07_09][15_39_26].html” for details. On opening the log file, I was presented with the following helpful unhelpful log file. But I think the error in the log file should be more helpful tho.